Regional outdoor ads can get brands big buzz online. Want to create the next viral marketing smash online? Start by thinking outdoors and small. Over the past few years, some of the most interesting—and nationally recognized—marketing campaigns that swept across the Internet began with inexpensive, local media buys or stunts. If such a campaign takes off on social media, that modest investment gets your brand or cause in front of millions of eyeballs. "What a few people experience live can be shared with millions when the outdoor idea works as an eye-opening or simply entertaining stunt," said Per Pedersen, Grey's deputy worldwide chief creative officer. 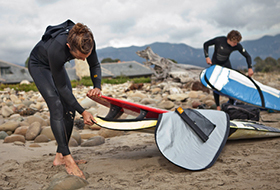 "That turns outdoor into something much bigger than a localized installation. It's the centerpiece of branded content and viral advertising—but only if the storytelling is great." With real-world ideas translating into viral hits almost weekly, we asked agency and branding experts for their tips on creating an out-of-home campaign that extends far beyond its starting point. Real-time marketing isn't just for Twitter. Some of the most interesting outdoor campaigns are pegged to pop culture. When PR firm Taylor Herring wanted to promote British broadcaster UKTV in 2013, it made a literal splash by installing a sculpture of Colin Firth in a lake. The scene was based on the actor's portrayal of Mr. Darcy in Pride and Prejudice, a role locals likely remembered well. Later that year, Taylor Herring set up a massive dragon skull on England's Charmouth Beach—famous for its dinosaur fossils—to plug HBO's Game of Thrones. "If it's something the media are already talking about, you can join the conversation, which is often easier than starting one," explained James Herring, managing partner at Taylor Herring. The other common denominator of Herring's strange campaigns is that they're both in small cities, giving them a curiosity factor. Marketers typically turn to New York, Chicago and Los Angeles to get billboards in front of as many people as possible, but in the age of social media, small-scale installations can be just as effective. "Force yourself to look beyond those clichéd locations," Herring said. "Every city has three famous backdrops that are overused in campaigns. Creatives use these out of paranoia that their [idea] won't work without that all-too familiar skyline in the backdrop. It's not true." The whole point of digitally geared outdoor campaigns is to get people talking, which sometimes means setting up hidden cameras that can be turned into social and video content later. "If the OOH [ad] is capable of allowing the users to interact with it, then it makes for a great hidden-camera type of video or content that allows the brand to scale it with PR and paid social media amplification," said Eric Williamson, svp and director of digital and content strategy at Mullen Lowe. Linking up digital video with live stunts is a tactic the agency has used for clients like JetBlue. Sometimes a great one-liner is enough for an ad to take off online. Mendi Robinson, creative director at Lamar Advertising Company, pointed to its recent project with nonprofit 14x48 and Brooklyn-based artist Julia Weist as an example of how local outdoor campaigns spark national attention. 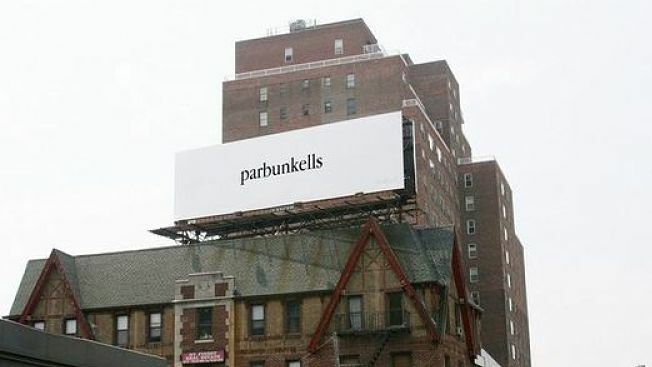 Weist claims to be the only artist to use the word "parbunkells" online. The term stems from the 17th century and means "coming together through the binding of two ropes." Robinson said that the effort "proved that even the smallest out-of-home campaign can spark interest and engagement, leading to an enormous amount of online and social chatter." Outdoor campaigns are great at building one-off buzz, but there's also a risk that marketers won't be able to capture lightning in a bottle twice. With that in mind, it takes a risky brand to play in extreme, local advertising, said Sam Ewen, partner at experimental agency Guild. The payoff can be big, though. When TBWA\Media Art Lab and Apple decided to run smartphone-shot photos on billboards this year, some may have questioned the idea of slapping user-generated content on an outdoor ad. But the clever use of photography scored the team a Cannes Grand Prix win this year. "Ideas can be replicated, but it has to be the right idea," Ewen said. "Most brands [don't have] iconic props nor a rabid fandom."